June 2014 – Under Every Leaf. 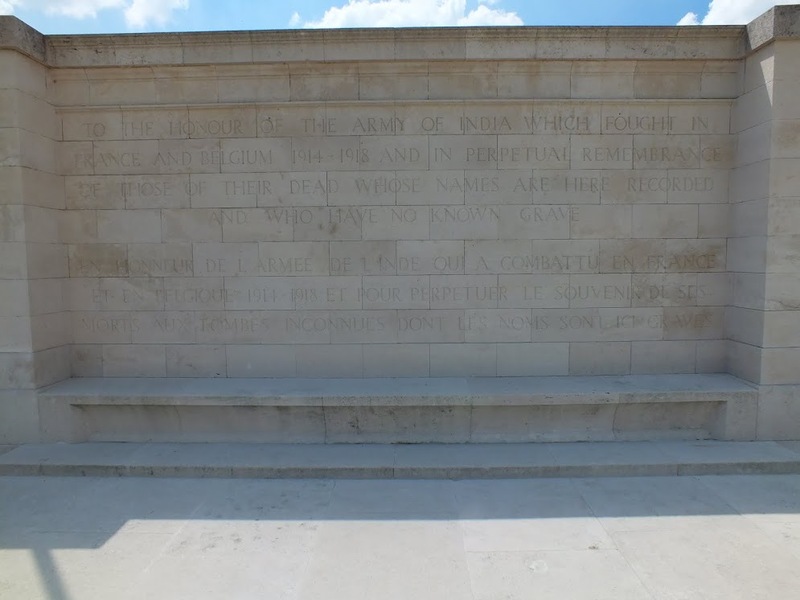 I was recently sent some great pictures of the Indian Memorial at Neuve Chapelle, France. I was just going to post them on the Facebook page but I thought I would do them justice by doing a blogpost so you can see the pictures in all their glory. 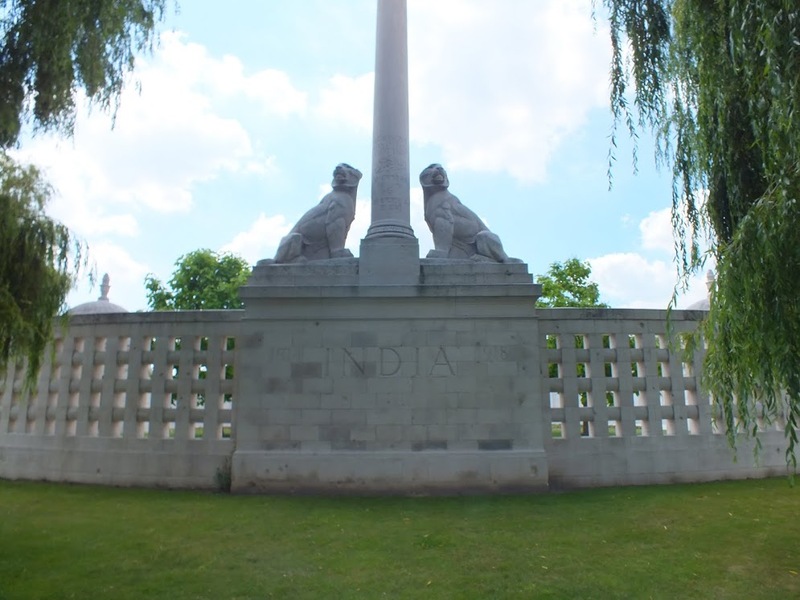 This memorial commemorates the Men of the Indian Army and Labour Corps who lost their lives on the Western Front 1914-18. 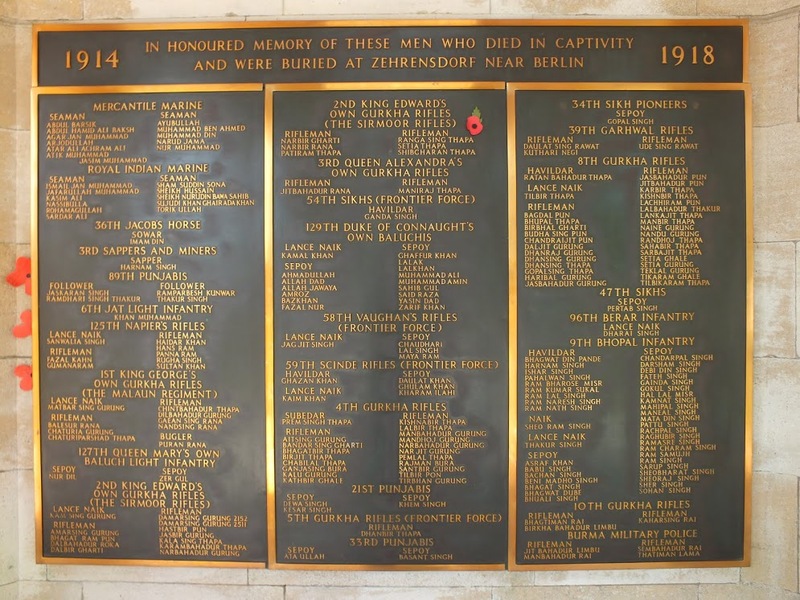 This also includes the names of almost 5000 men with no known graves. All pictures are courtesy of Scott Brand and all pictures are owned by him and should not be used or shared without permission. 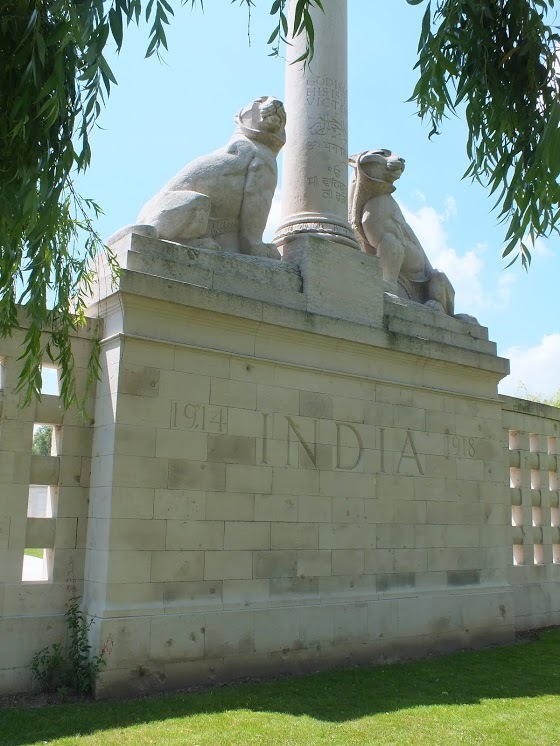 The Indian Memorial at Neuve Chapelle commemorates over 4,700 Indian soldiers and labourers who lost their lives on the Western Front during the First World War and have no known graves. 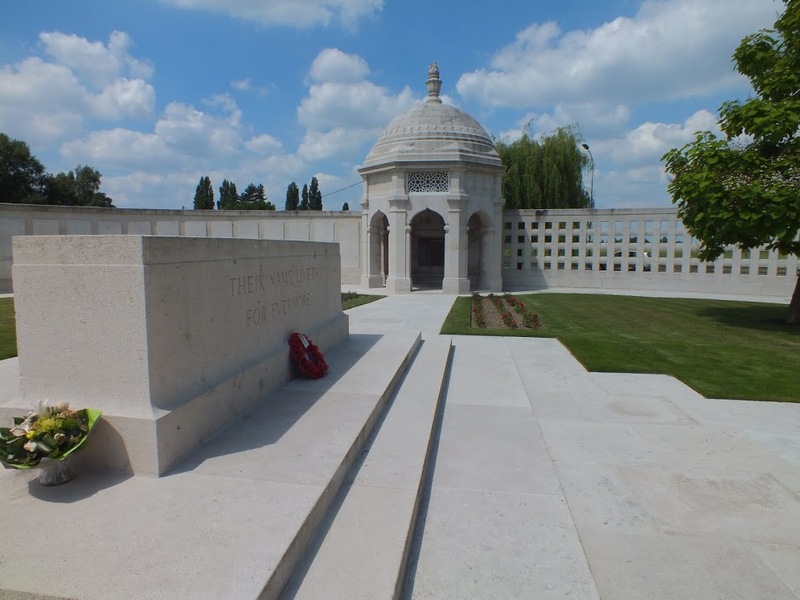 The location of the memorial was specially chosen as it was at Neuve Chapelle in March 1915 that the Indian Corps fought its first major action as a single unit. 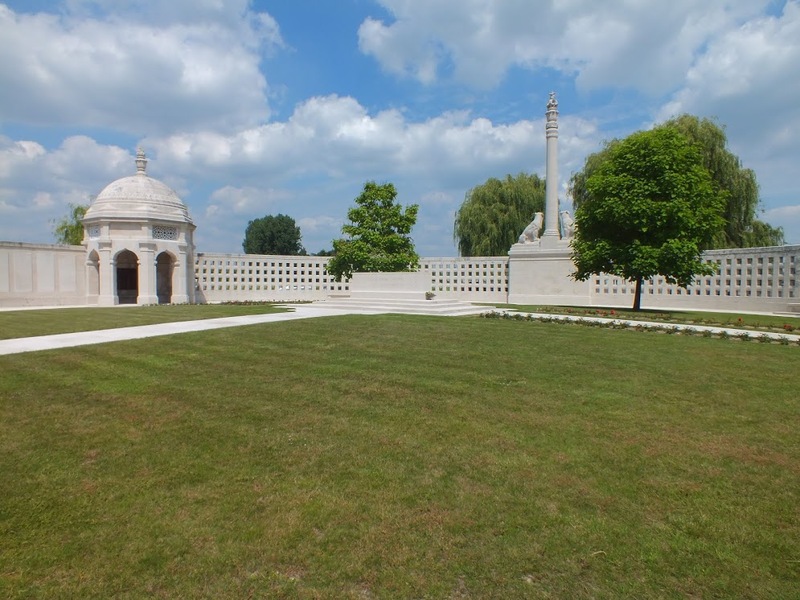 The memorial takes the form of a sanctuary enclosed within a circular wall after the manner of the enclosing railings of early Indian shrines. The column in the foreground of the enclosure stands almost 15 feet high and was inspired by the famous inscribed columns erected by the Emperor Ashkora throughout India in the 3rd century BC. The column is surmounted with a Lotus capital, the Imperial British Crown and the Star of India. Two tigers are carved on either side of the column guarding the temple of the dead. On the lower part of the column the words ‘God is One, He is the Victory’ are inscribed in English, with similar texts in Arabic, Hindi, and Gurmukhi. 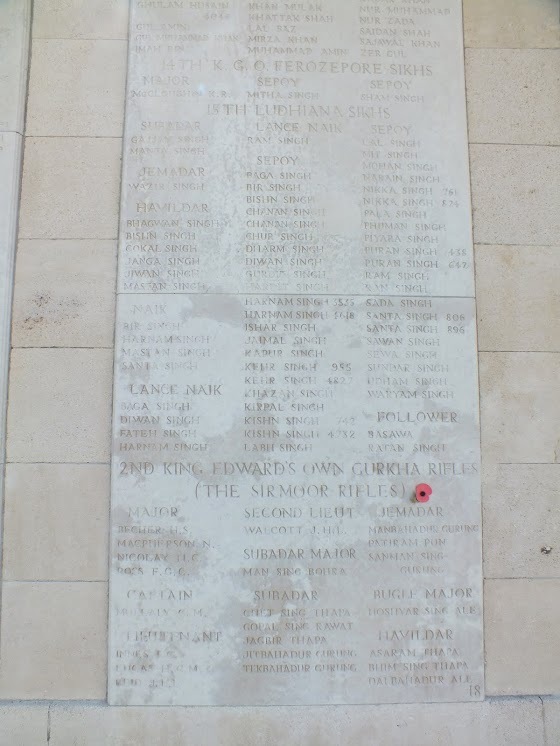 The memorial was designed by the celebrated British architect, Sir Herbert Baker, and unveiled by the Earl of Birkenhead on 7 October 1927. Lord Birkenhead, then Secretary of State for India, had served as a staff officer with the Indian Corps during the war. 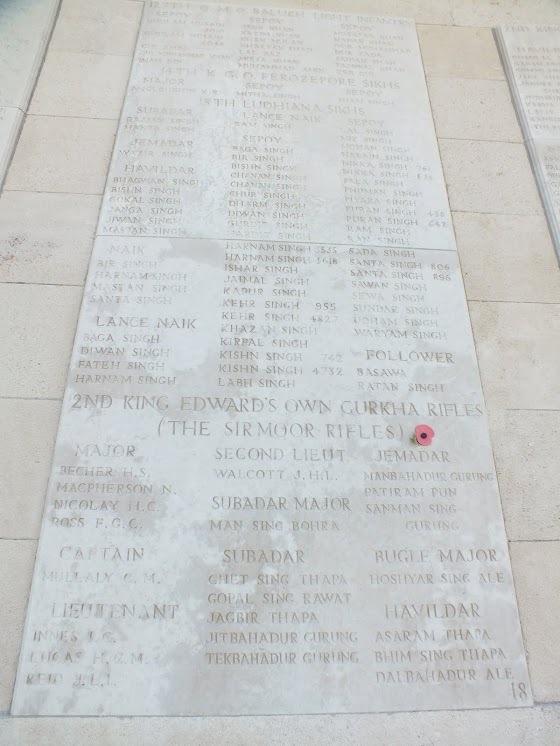 The ceremony was also attended by the Maharaja of Karputhala, Marshal Ferdinand Foch, Rudyard Kipling, and a large contingent of Indian veterans.